Due to the ongoing lime shortage, several airlines are no longer offering fresh limes with in-flight drinks. Instead of paying an exorbitant amount for limes, here are 5 great cocktails to make with lemons. 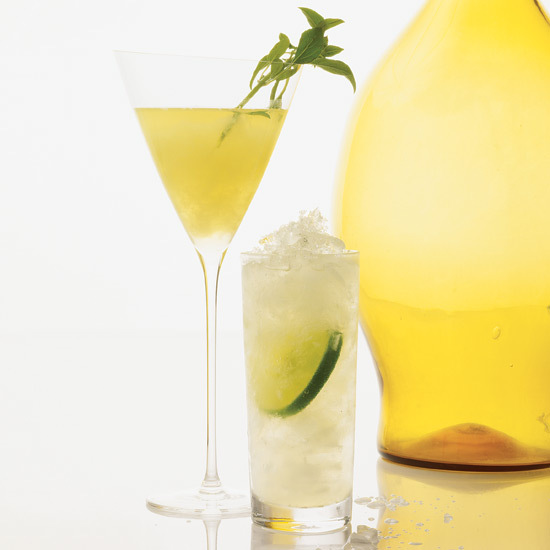 Limoncello and lemon juice give this fantastic drink a double-citrus punch. Fresh lemon juice balances the sweetness of strawberries in this delicious, fruity mojito. This sweet-tart cocktail is garnished with sour Lemonhead candies. This terrific cocktail features rye whiskey, angostura bitters and muddled lemon. Mixologist Brian Van Flandern blends Palo cortado sherry with gin and Cognac in this spin on a Collins. 33 Best New Bars in the U.S.